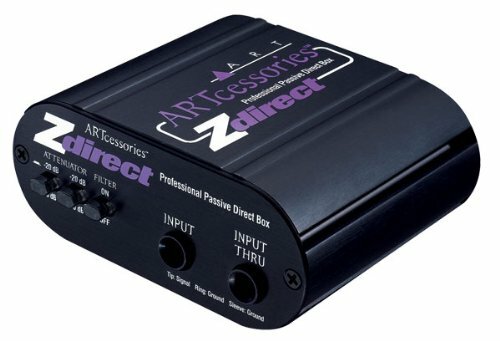 The ART Zdirect is a high quality totally passive interface that lets you connect instrument, line, or speaker level signals to a mixer or other balanced input thru a high performance audio isolation transformer. The high impedance single-ended 1/4" input is converted by the transformer into an isolated balanced low impedance signal source. The Zdirects audio transformer has an extremely flat and wide frequency response and can handle high signal levels while still maintaining an isolated balanced low impedance output. This gives the Zdirect a very clean and neutral sound with a wide variety of signal sources and over long signal runs in high noise environments.